A three week family trip around South America really made me realize that I love empanadas too much. I really couldn’t wait to get back to Buenos Aires just to have some again. I ate them for three days straight when I got home, and now, I am sick of them. 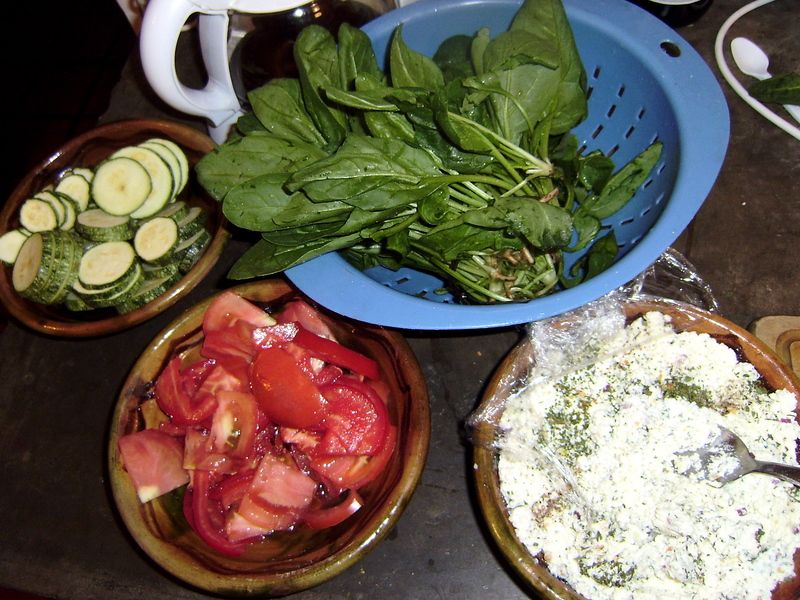 In a large bowl, mix the ricotta cheese with the onion, garlic and spices. 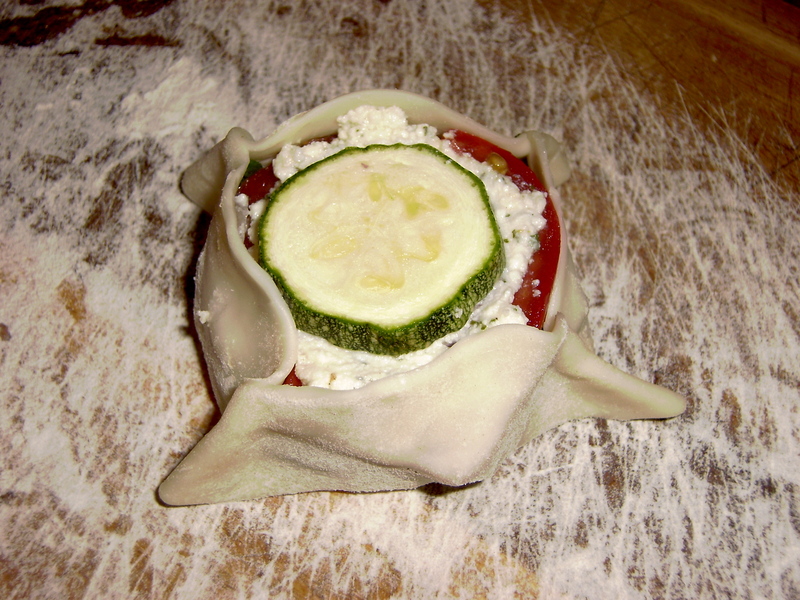 Place a puff pastry circle on a floured surface. 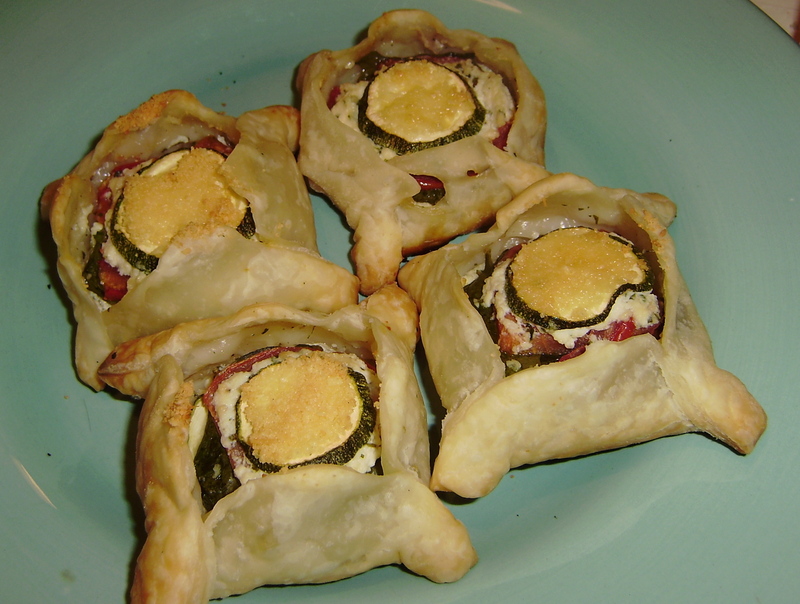 In the center, alternate slices of veg with smears of ricotta, until you have a small stack like so. 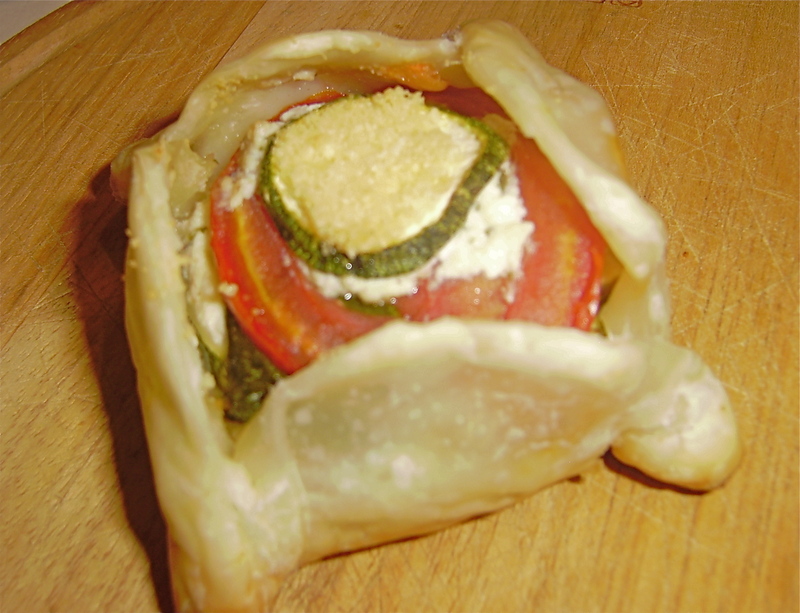 Then fold up the edges of your pastry and pinch on all four corners. Oh my gosh, how cute. 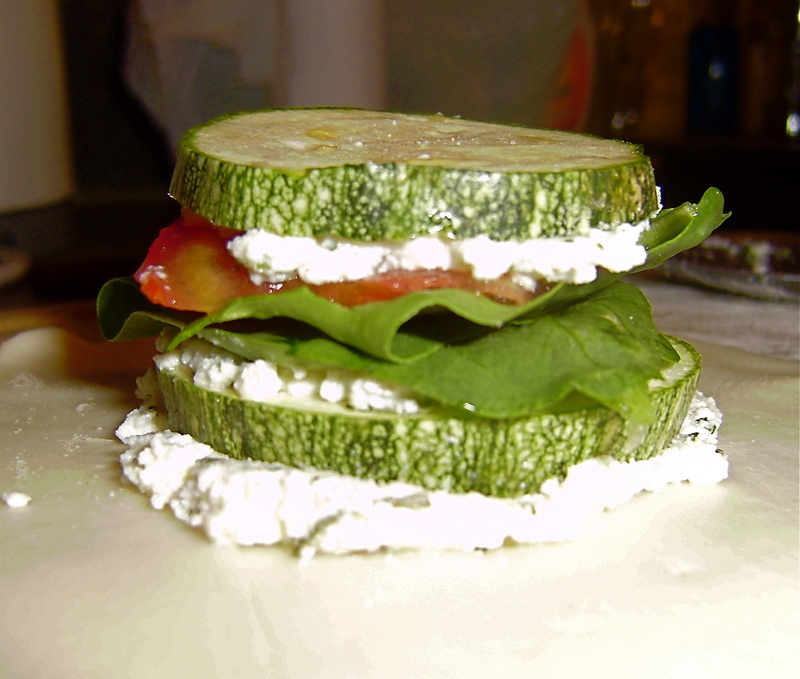 Personally, I went for the zucchini slice on top, and then topped it with a delightful sprinkle of parmesan cheese. Bake in the over at 350 for 15min or until the pastry is golden brown. Since Julia Childs is gone, I think they are looking for a replacement. You better apply.